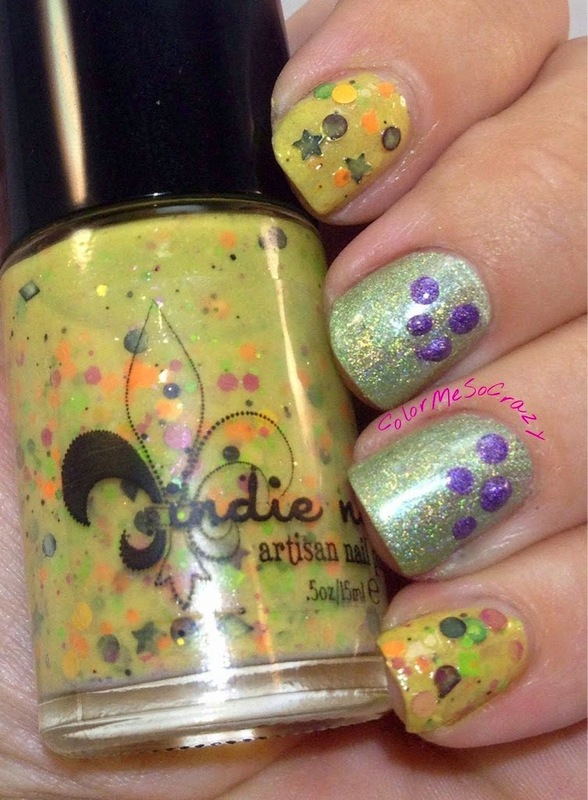 More Halloween madness with some Jindie Nails love. I got Screaming Halloween on clearance last year and had to wait this whole time to wear it. Now, is the time!! Wahoooo! I love this. 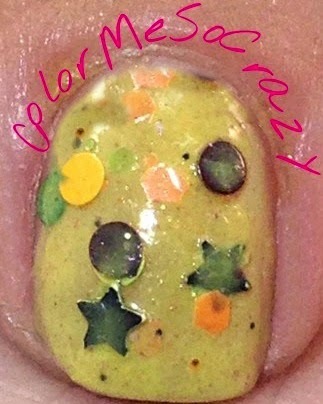 It is such a cute Halloween color with super cute Halloween glitters. If you can snag or find it anywhere, I would totally grab it. 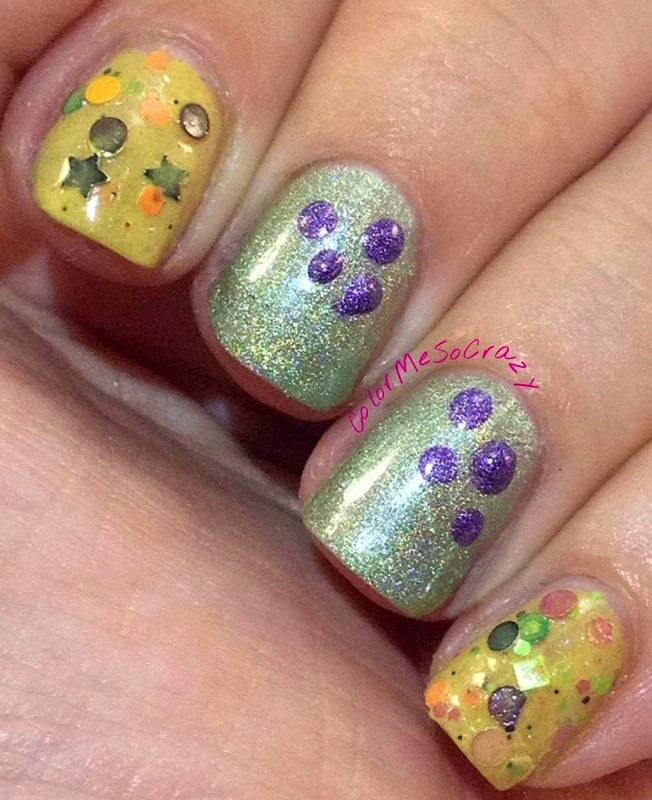 For my two middle fingers, I used some other Jindie Nails favorites and dotted little monster dots on them. They kind of remind me of inspired by Monster Inc. They are super cute and I love the endless Halloween combinations.